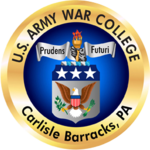 The United States Army War College (USAWC) is a U.S. Army educational institution in Carlisle, Pennsylvania, on the 500-acre (2 km²) campus of the historic Carlisle Barracks. It provides graduate-level instruction to senior military officers and civilians to prepare them for senior leadership assignments and responsibilities. Each year, a number of Army colonels and lieutenant colonels are considered by a board for admission. Approximately 800 students attend at any one time, half in a two-year-long distance learning program, and the other half in an on-campus, full-time resident program lasting ten months. Upon completion, the college grants its graduates a master's degree in Strategic Studies. Army applicants must have already completed the U.S. Army Command and General Staff College, the required Professional Military Education for officers in the rank of major. While the Army handpicks most of the students who participate in the residential program, the student body always includes officers from the other military branches, civilians from agencies such as the Department of Defense, State Department, and National Security Agency, and officers from foreign countries who attend the program as International Fellows. For example, the residential Class of 2017 had 381 students: 218 active component officers and 61 reserve component officers from all five branches of the United States Armed Forces, 28 senior federal government civilians, and 74 International Fellows. Majors with the specialty of Function Area 59, Strategist, formerly Strategic Plans and Policy, also attend their qualification course, the Basic Strategic Arts Program (BSAP), at the college. The Army War College is a split-functional institution. While a great deal of emphasis is placed on research, students are also instructed in leadership, strategy, and joint-service/international operations. It is one of the senior service colleges including the Naval War College and the Air War College. Additionally, the U.S. Department of Defense operates the National War College. 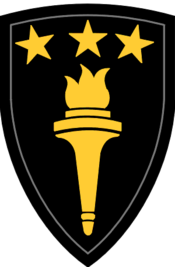 According to U.S. Army regulation 10–44, the mission of the War College is "To prepare selected military, civilian, and international leaders for the responsibilities of strategic leadership; educate current and future leaders on the development and employment of landpower in a joint, multinational and interagency environment; conduct research and publish on national security and military strategy; and engage in activities in support of the Army’s strategic communication efforts." During the presidency of Montgomery M. Macomb in 1916, President Woodrow Wilson accused students and staff of planning for taking part in an offensive war, even though the United States had not entered World War I. Wilson was unconvinced by Macomb's explanation that the college was concerned only with the intellectual growth and professional development of its students, and insisted that the school curtail its activities in order to ensure that the U.S. maintained its neutrality. The Center for Strategic Leadership (CSL)'s areas of emphasis are experiential education, Senior Leader education, support to Army Senior Leader research, and support to both US Army War College (USAWC) and Army Senior Leader strategic communication efforts. CSL's professional staff and Collins Hall facility host, support, develop, and conduct world-class events (workshops, symposia, conferences, games, and exercises) focused on a broad range of strategic leadership and national security issues and concepts in support of the USAWC, the Army, and the Interagency and Joint Communities. The Basic Strategic Art Program is one of the academic programs taught at the U.S. Army War College. When the program was founded in 2003, its purpose was to provide those officers who had been newly designated into Functional Area 59 (Strategist, formerly Strategic Plans & Policy) an introduction to strategy and to the unique skills, knowledge, and attributes needed as a foundation for their progressive development as army strategists. FA 59 officers have deployed to combat since the onset of the Global War on Terror in 2001. Since then, graduates of this program served in key positions in Iraq, Afghanistan, all combatant commands, and at the Pentagon. The Peacekeeping and Stability Operations Institute (PKSOI) is located at the War College. The institute's mission is to serve as the U.S. Military’s Center of Excellence for Stability and Peace Operations at the strategic and operational levels in order to improve military, civilian agency, international, and multinational capabilities and execution. ^ "Commandant's Column: Envisioning USAWC 2020". Archived from the original on 2013-11-27. Retrieved 2013-11-27. ^ "Historic Carlisle Barracks". Retrieved 3 November 2017. ^ a b c d "Military Education Level 1 Programs". Retrieved 3 November 2017. ^ US Army War College Archived 15 June 2011 at the Wayback Machine. Carlisle.army.mil. Retrieved on 2013-07-23. 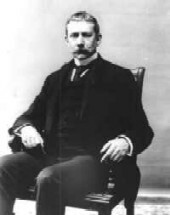 ^ Commanding Generals and Chiefs of Staff, 1775-2005: Portraits & Biographical Sketches of the United States Army's Senior Officer; William Gardner Bell; Government Printing Office, 2006. ^ Lengel, Edward G. (2014). A Companion to the Meuse-Argonne Campaign. West Sussex, England: John Wiley & Sons, Inc. p. 391. ^ Grotelueschen, Mark Ethan (2007). The AEF Way of War: The American Army and Combat in World War I. New York: Cambridge University Press. p. 24. Wikimedia Commons has media related to United States Army War College.